Drinking — just one reason why teenagers can’t wait to leave home and head to college. And it’s also a situation that has parents concerned. So it’s little surprise, then, that many parents allow their kids to partake in drinking years before legal age — in some cases even supplying them with the alcohol at home — to try and protect them from the downsides of alcohol. Now, a new study out of Australia suggests that this commonly used strategy may be misguided. Researchers at the National Drug and Alcohol Centre in Australia surveyed a group of 1,927 parents and adolescents over a six-year period to find out what happens when parents provide their kids alcohol. A man drinks a pint of beer in this undated stock photo. 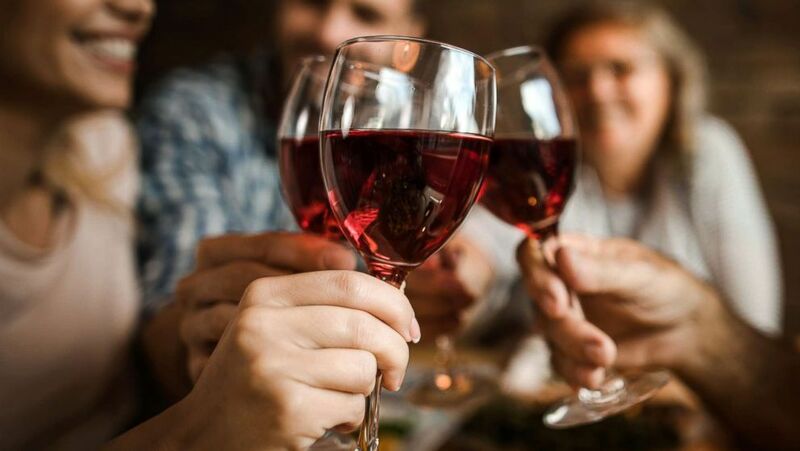 “It is an approach often identified as associated with the Mediterranean countries — a Mediterranean model — wherein it is stated that early introduction to small amounts of alcohol reduces excessive drinking in adulthood,” said lead study author Richard Mattick in an email to ABC News. Mattick added that he thinks this same logic is used by some in the United States. Mattick’s team studied the negative effects of alcohol consumption in teens — binge drinking, experience of alcohol-related harm, and alcohol dependence or abuse. The researchers found that teenagers who received alcohol from their parents at a young age were actually more likely — not less — to obtain it through other means later on. They also found that early exposure to alcohol did not seem to offer any protection against the adverse outcomes from alcohol use. Young people drink beer outdoors in an undated stock photo. The new research backs up what some previous studies have shown. “We see this in parenting surveys,” said Emily Feinstein, executive vice president of the National Center on Addiction and Substance Abuse, who was not involved with the research. “There is no scientific research to suggest that giving your kids alcohol early on prevents addiction. Feinstein added that when a child’s brain is developing, alcohol and drugs can have a negative impact. Importantly, the new study was disproportionately weighted toward teens living in higher socioeconomic level households — a fact that led the researchers to note in their study that future research should also involve more adolescents from lower socioeconomic backgrounds, since these kids tend to be at higher risk for substance abuse. But for now, Mattick said, the bottom line for parents should be clear.